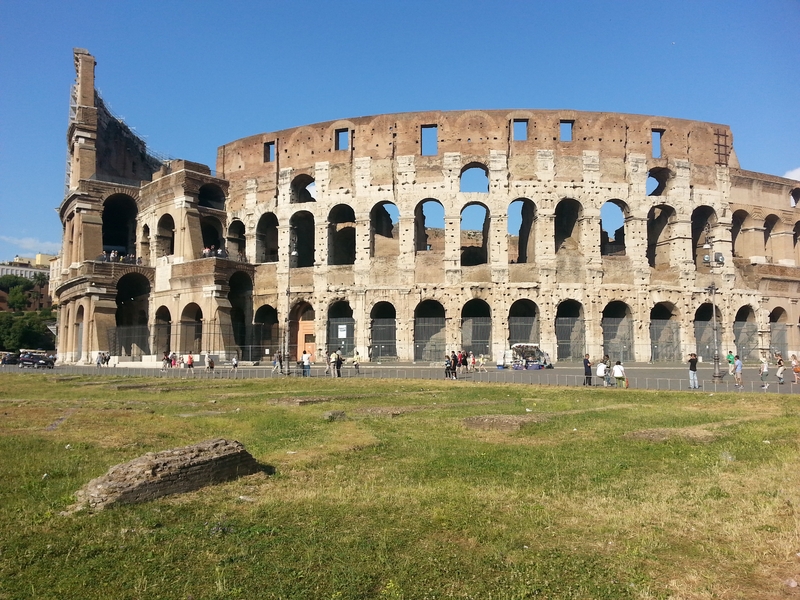 Recently I visited the Colosseum in Rome. This outdoor arena held 50,000 screaming spectators, and witnessed some of the most dramatic, traumatic and gruesome events in human history. Gladiators battled there. Criminals fought lions and other wild animals to the death. Christians were fed to the lions there. Life is a series of spiritual battles. We face fear, guilt, temptation. depression, pride, and all sorts of evils. Our enemy, the devil, knows our weaknesses. He knows how, when and where to attack each of us. Yet, in Christ we are champions. We are more than conquerors through Christ. All of the weapons mentioned above are defensive weapons, intended to protect us. But the next weapon – the sword of the Spirit – is both a defensive weapon and an offensive weapon. It defends us and attacks our enemy. The Bible helps us overcome temptation. As we commit verses of Scripture to memory, God brings them to mind at just the right time. As we say them in our heart and mind, or even say them out loud, we have clarity and power to stand victorious over the temptation that is coming against us. The Bible shows us how to obey the Lord. As we read and study the Bible, the stories, principles and verses jump off the page and give us direction for life. They show us what to say, how to relate to others, what to do, and how to focus our life. The Bible is our guide for the big decisions in life and also for the daily decisions of life. The Bible shows us how to obey the Lord. Here are seven ways for you to interact with the Bible. Pick up your sword. Use it. Let God’s word change your life. Let God’s word be your weapon to live a legacy of faith worth passing on to those who follow you. That’s the legacy of a warrior that we need. If you need help on getting started with reading God’s word, read my post about that HERE. I like to keep it simple: read the Bible and do what it says. Because of Christ and through Christ you can!